Thank you for your enthusiastic and dedicated efforts for KT. 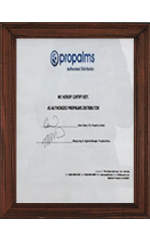 You will be officially certified as a Propham's service partner and receive a copy and a certificate. 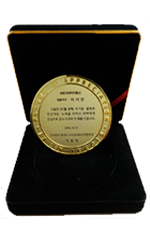 We thank you for your dedication and active support for the development and revitalization of the Seoul Institute of Traditional Performing Arts. When I asked for free system support, network, and engineering support for the introduction of new service, I was deeply impressed to see how much I was pleased to receive. No matter where I want to go, I can't go anywhere else.When I do business, I sometimes judge everything with money, but I am probably more attracted to the human nature of Korean data communication. In particular, I thank you for your dedication and hard work. I received a number of server hosting services from other places and I got a service proposal through KDT and started using one server first. The proposed server was not insufficient to operate the service and the network was also stable. Thus, the replacement time for the existing servers was reached, so we used two more servers. Servers that are due for replacement in the future are planning to request more. I want to thank KDT (Korea Data Communication) for providing good server and good network at a good price, and employees for actively supporting technology along with server installation. Using several IDCs, I was introduced to Korea Data Communications and received hosting. At first, we didn't feel very different from other companies, but there was a case where we had to rush in some servers before our service opened. Moreover, I couldn't get a server for a particular store in a hurry, so I had to ask for assistance in a car that was having a hard time, but the CPU of the new server that was not unpacked was removed, so I was able to open the service safely at that time. It would be too much to ask for a service.I'd like to thank you for what you missed on that time. And if you don't change your mind, we'll be dealing with Korea Data Communications in the future. Let's get along well from now on. I had a hacking accident while I was receiving service from another place, and I had a very difficult time as a person in charge. However, through KDT (Korea Data Communication), I received consulting on solving problems and moved my services. The cost is similar to where we used to receive the service, but the security service has been strengthened, making it easier for us to be in charge. In addition, when the service was transferred, KDT (Korea Data Communication) provided the same number of servers as the existing server and installed the same number of servers, so I was very grateful for the service's continuous service transfer. 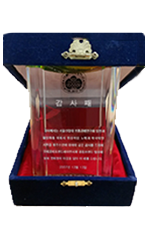 I want to thank KDT (Korea Data Communication) for its service transfer and its engineers, Koh Sung-il, Team Leader and others. Although there was the first time that a virus attack paralyzed the service, despite the fact that it was Christmas Eve, the service was restored thanks to the rapid support of engineers from Korea Data Communications and the damage was minimized. I was very surprised at the time, and I didn't know what to do. I express my gratitude in writing. The know-how in customer sales and technology that IDC has accumulated over a long period of time has been instrumental in helping to develop the Naver cloud platform business and thank you for the good results. With the growth of the Naver cloud platform, we look forward to the growth of KDT. IDC has had some barriers to moving data to the cloud, and with careful consulting, we have moved safely to the cloud system, and we appreciate your ability to run without a major problem until now. I will continue to be indebted to you. Thank you. I had a hard time with a sense of service from the previous service provider, but after moving to Korea Data Communications, I don't have any problems. Thank you for this and I look forward to it. It was requested with stability and trust of the service. Thank you for still providing a good service.